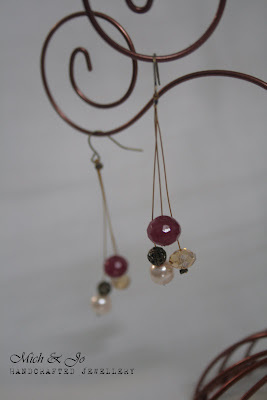 If you see something you like, fill up the order form at the bottom of the blog or here. These rates are the minimum rates for shipments weighing below 500g. If you order more than 1 item and the shipping cost go beyond these rates, we will advise you before you make payment. All products will be delivered via Pos Laju or registered mail (please state your preference). The products will be packed in a bubble wrap envelop to protect them. 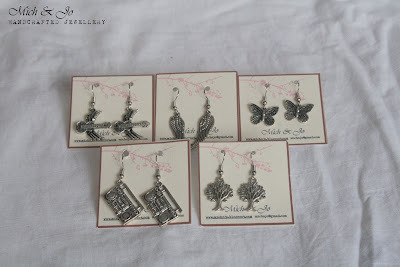 We only ship within Malaysia and shipment will be done after receipt of payment. At this moment, cash on delivery (COD) is not available. Shipment is done twice a week on Tuesdays and Thursdays. Shipments by Pos Laju will arrive within 2 business days from shipment date. For registered mail, shipments will arrive within 3 to 7 business days from shipment date. We only accept bank transfers in ringgit. We will provide you with the account details once your order is submitted. Please send us the reference number or other forms of payment verification once payment has been made. All sales are final and we do not accept any returns. If you have any problems with the products, please inform us and we'll be more than happy to see how we can rectify it. 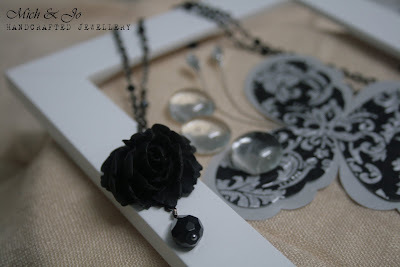 We try to portray the products the best way that we can in the photos. However, the colour may defer slightly from the original product. If you have any questions, please drop us an email! :) Otherwise, happy shopping!! 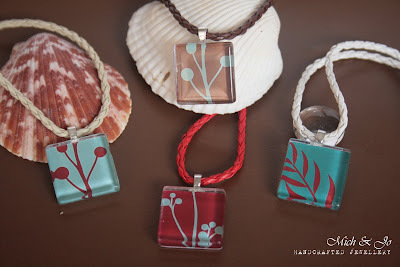 Handmade glass tile pendant! 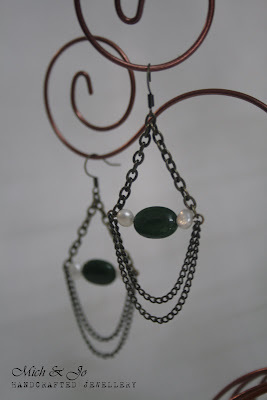 Simple yet elegant designs. Easy to pair with anything from sundresses to t-shirts. 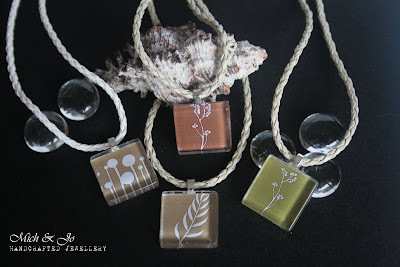 Measuring 1.8cm * 1.8cm, each pendant is carefully handcrafted and sealed with jewellery glaze. 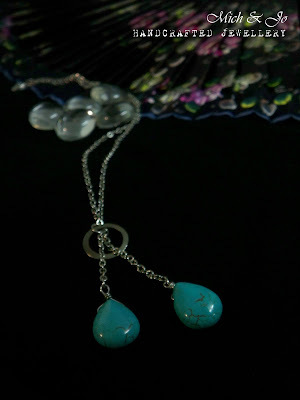 Comes with silver plated choker (Approx 13.5cm in diameter). 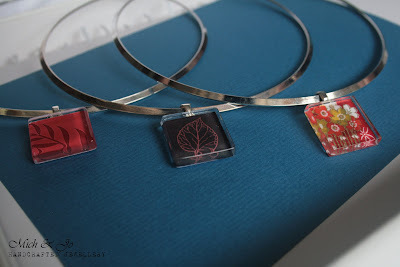 Original Handmade Glass Tile Pendant Necklace. 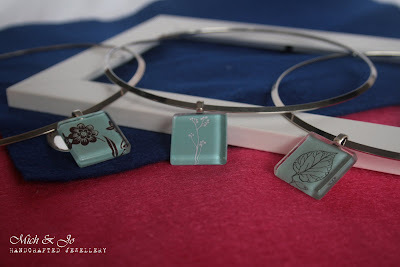 Elegant floral designs. 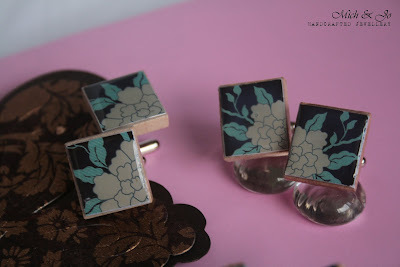 Check out matching cufflinks available! Very limited pieces for each design! 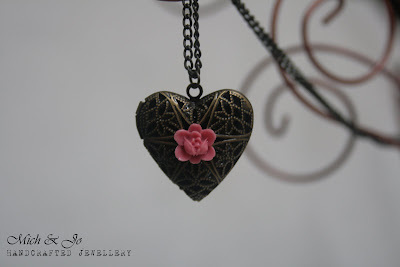 Measuring 2.5cm x 2.5cm, each pendant comes with a 16-inch shiny silver-plated necklace. 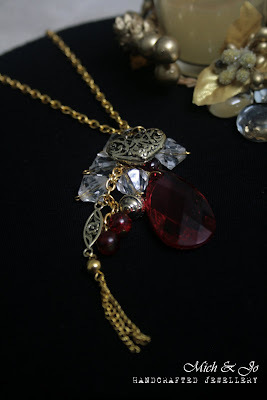 Some carefully handcrafted eye-catching and witty pendant for a casual day! 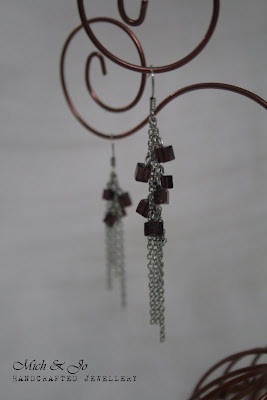 Measuring 1.8cm x 1.8cm, each pendant comes with a free 18-inch (46cm) coloured braided leather necklace. 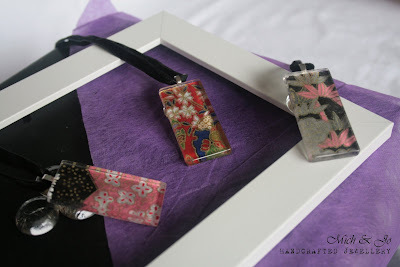 Measuring 1.8cm * 1.8cm, each pendant is carefully handcrafted and sealed with jewellery glaze; comes with adjustable nylon black necklace. Zen inspired series. Graphics are carefully sealed on scrabble tiles. 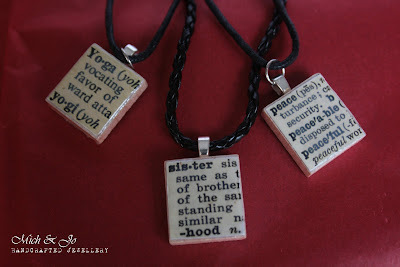 Make great gifts for yoga fans! Now who doesn't like Audrey Hepburn? We love her for her style & charm. 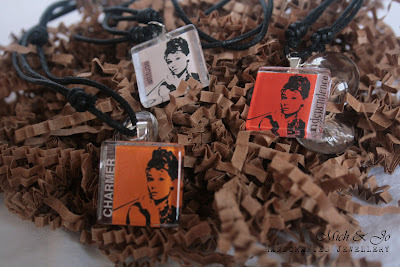 We created these chic glass tile pendants with images of Holly Golightly (of Breakfast at Tiffany's of course! ;)) for the modern stylista. 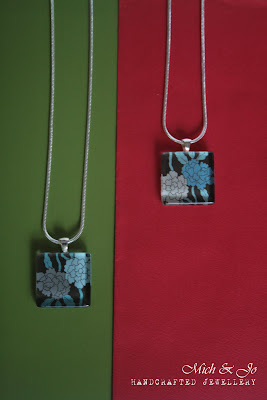 Measuring 1.8cm * 1.8cm, each pendant is carefully handcrafted and sealed with jewellery glaze. 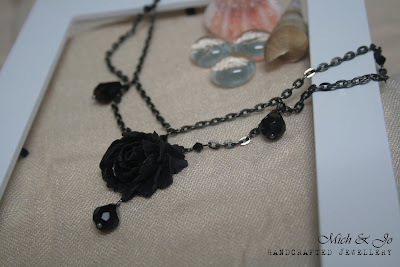 Each pendant comes with adjustable nylon black necklace. We love these 50s style pin up girls. 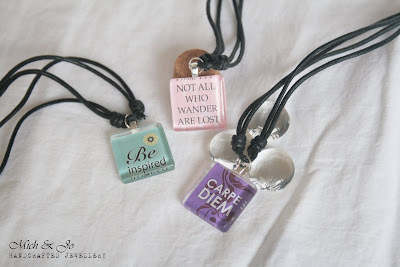 Dress up your outfits with these funky must-have glass tile pendants with charm. 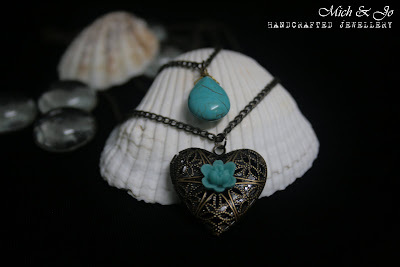 All these pendants are handmade and guaranteed "OOAK - one of a kind". 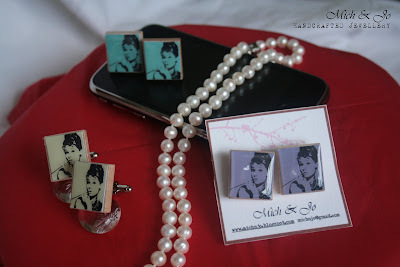 Each pin up girls comes with a carefully selected matching description. 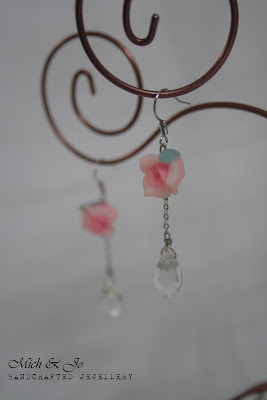 We've created some cute origami earrings here! 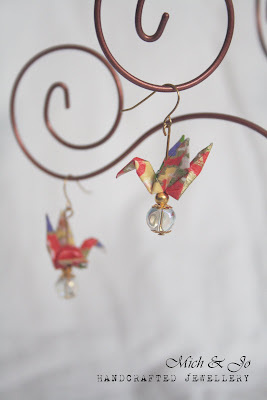 These carefully folded origami cranes have been glazed so they keep in shape very well. 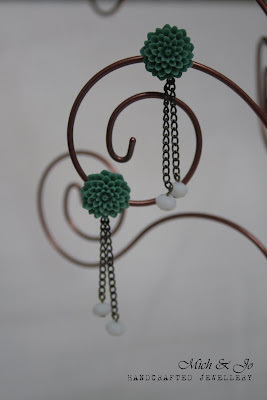 Each crane is approx 2cm in height and 3 cm in width. 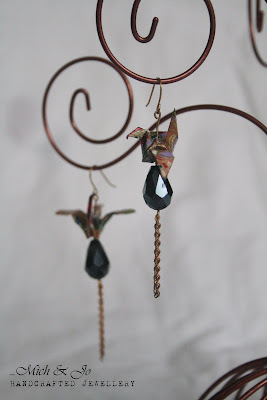 Caring for your product: All origami earrings are water resistant, but not waterproof. Please remove before showering and swimming,etc. Need to jazz up a boring plain shirt yet maintaining a corporate image? 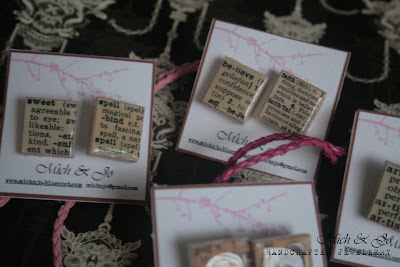 Express your individuality with these cufflinks that comes with wordings extracted from a vintage dictionary. Looking forward to karaoke moments after work? 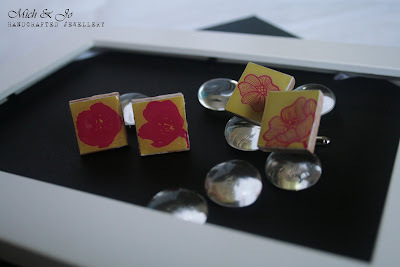 All cufflinks are handmade with scrabble tiles and sealed with a shiny coat. They are water resistant but not water proof. To ensure a long lasting shine, do wipe off with a dry tissue/cloth immediately in case of water contact . Who says girls don't wear cufflinks? 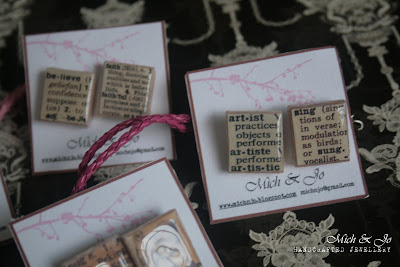 Here are some pretty cufflinks made just for ladies....well, we don't discriminate! 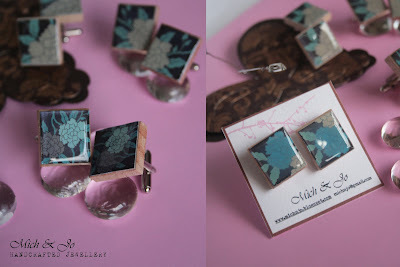 These wearable art are handmade from scrabble tiles and sealed with a shiny coat. Artwork are done by graphic designers from various countries. 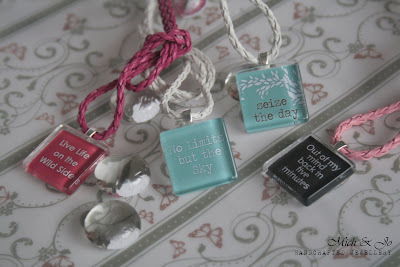 Hurry, limited pieces available as all these are handmade! *P/S: Cufflinks are water resistant but not water proof. To ensure a long lasting shine, do wipe off with a dry tissue/cloth immediately in case of water contact . 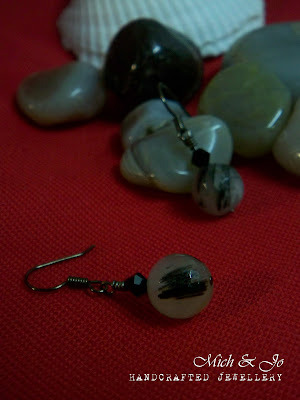 Black rhutilate stones with black bicone glass beads & gunmetal findings. 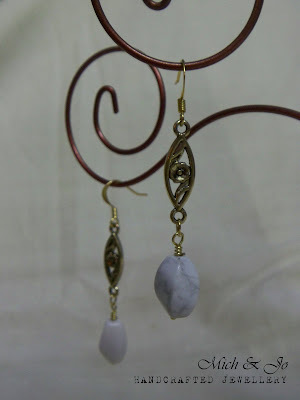 White howlite stones with gold findings. 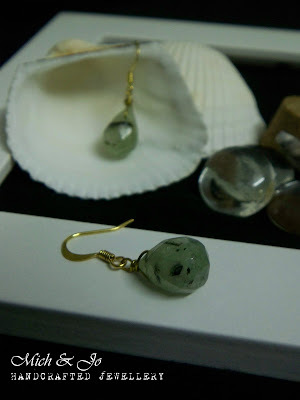 Aventurine stones & fresh water pearls with brass findings. We love these grunge rings with the fine details! 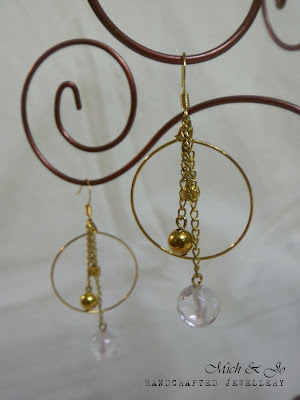 All the rings are expandable. 1. Product Code: MJR002 - Green skull with guns & roses on black background. 25 mm X 18 mm. 3. 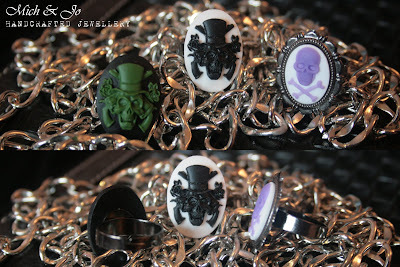 Product Code:MJR004 - Lavender skull & crossbones with gunmetal setting. 25mm X 18 mm. 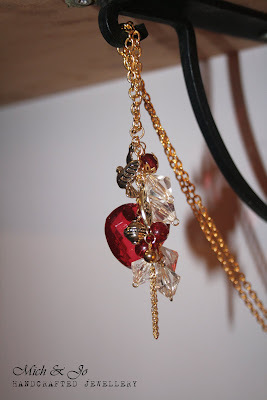 Acrylic beads & gold metal heart charm. 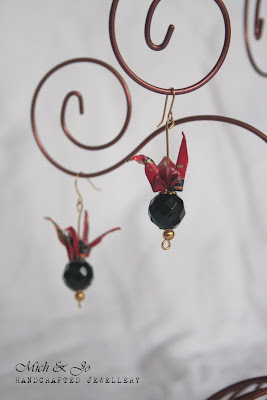 Acrylic beads with gold metal bird charm. 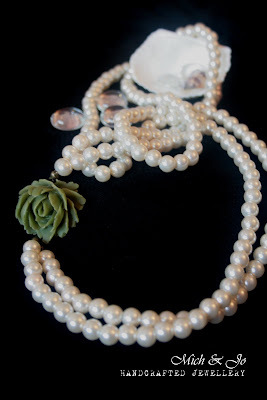 Olive green rose with 2 faux pearl strands. 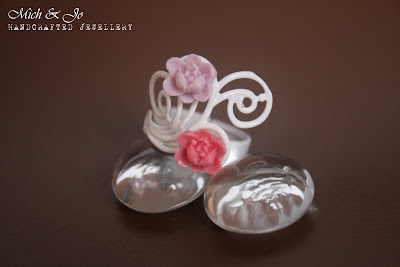 Pink sakura on white expandable ring. 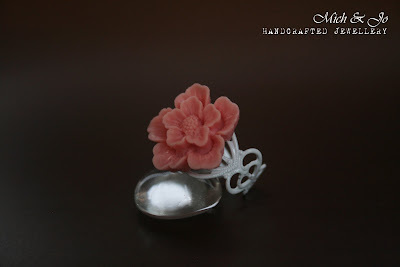 Pink lotus flowers on white expandable ring.